While there are many ways to capture knowledge, our team identified one-on-one and small group interviews as the most efficient way to gather and understand the tacit knowledge behind successful community-based conservation. The team consulted colleagues and veterans of the Conservancy’s Asia-Pacific Program to identify the slate of 19 conservation leaders who were interviewed using this approach (see About the Project, The Team). 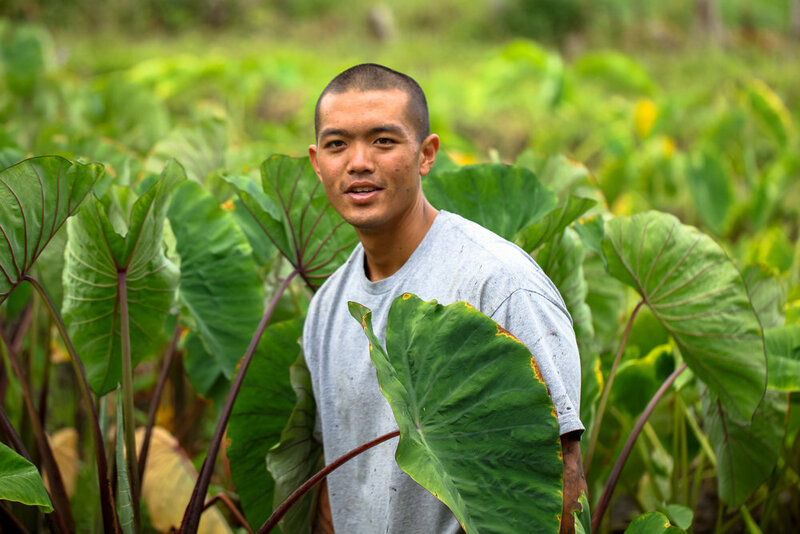 Interviewees included 13 current or former Conservancy staff and 6 close partners from Hawai‘i, Micronesia, and Melanesia, as well as a partner and former founding member of the Asia-Pacific marine program from Indonesia. Their positions ranged from managing conservation projects in the field to leading regional, country, and statewide conservation programs. The report also reflects input from a Hawaiʻi partner who was solicited during an interview conducted as part of a previous project. Guided by research on knowledge capture and interviewing techniques, an initial set of framing questions for the interviews were developed. Interviewees were briefed on the purpose and substance of the interviews in advance via telephone or email. For each interview, our team identified areas of tacit knowledge upon which to focus, based on the skill sets and areas of expertise of each interviewee. Two group interviews were conducted with Pacific colleagues who tend to be more humble and less outspoken, pairing them with familiar and respected Western peers, both to enhance the dialogue and to assess the effectiveness of knowledge capture via a group setting. The group dynamic worked well, fostering candid discussion and eliciting important information that Hawaiʻi interviewers may have missed. Interviews were recorded with a dedicated audio recorder and a DSLR to record video. Audio quality varied widely based on ambient noise. Though all were sufficient for transcription and archival purposes, some interviews were insufficient for use in podcasts or videos. Interviews were transcribed by TNC Hawaiʻi’s three Marine Fellows, young professionals who also assisted with the analysis of the information. The interview transcripts were then sent to interviewees for clarification, if necessary, and approval to use excerpts for the website and report. Team members analyzed all interviews to identify common themes, key messages, universal truths, and other valuable individual insights, which were compiled and organized through a facilitated group discussion. The quotes used throughout this report were edited for clarity, including occasionally combining different parts of the interview for brevity. Where quality allows, audio or video clips of cited quotes are posted on the website.